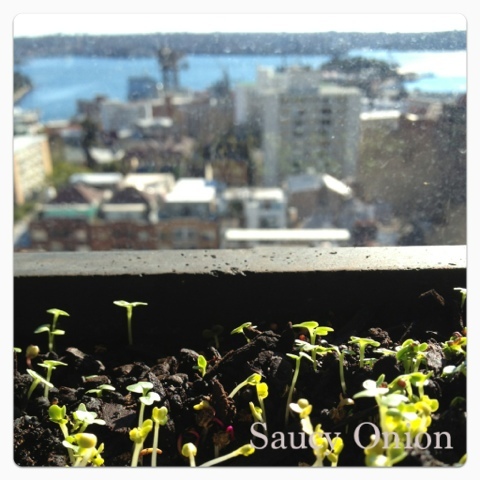 New edible gardeners are in for many surprises along their journey to grow some of their own food. 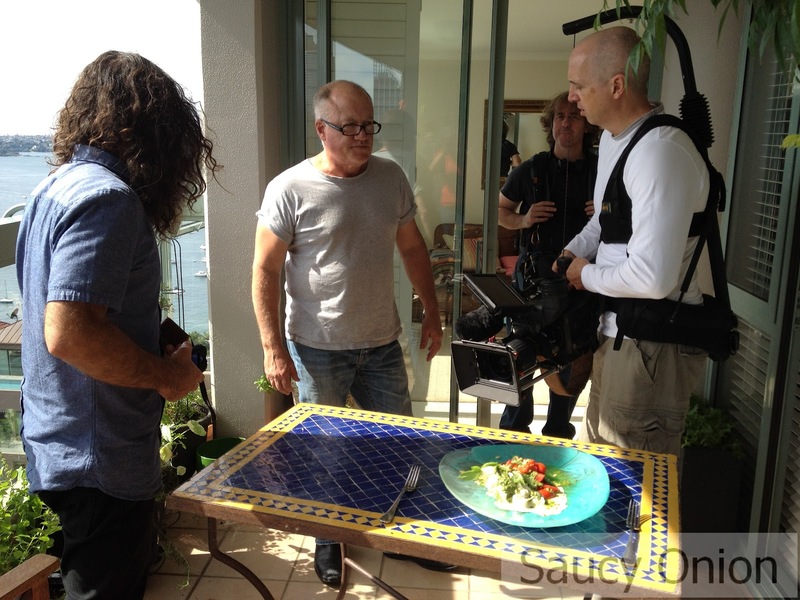 Yes there will be edible delights to enjoy but also unexpected blooms and scents. My favourite flowers are lemon blossom. Their fresh citrusy fragrance is heady and intoxicating – and bees can’t keep away. 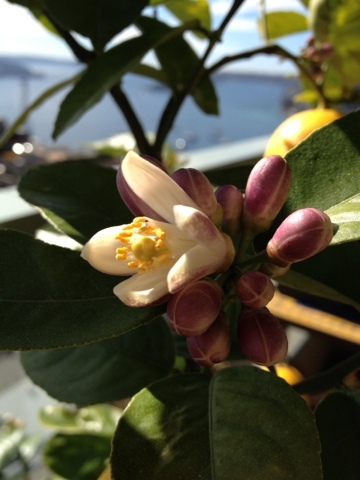 My first lemon bloom flowered this morning signalling that Spring is just round the corner. 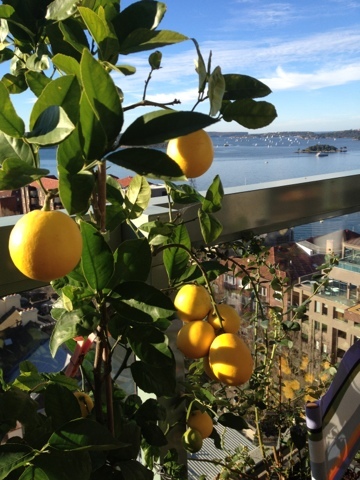 This entry was posted in Edible balcony on August 4, 2012 by dearindira2013. Give these a try. 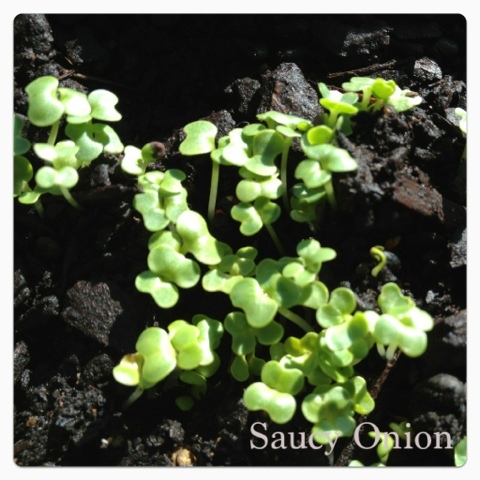 In just 4 weeks you’ll have some tasty nutritious micro-winter greens for your salads, sandwiches or to garnish your soups. 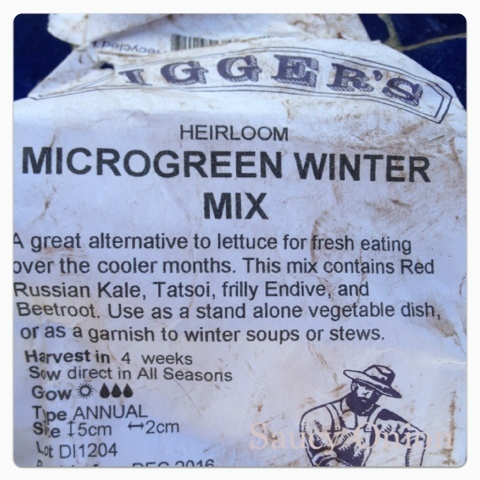 The Diggers seed mix I used includes beetroot, mustard greens, kale and tatsoi. 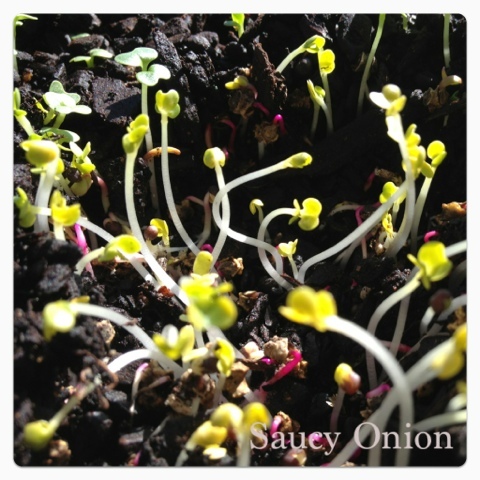 I sowed them straight into this pot using a good organic potting mix and a little cow manure to give my seedlings a boost. An occasional water and let the sun do the rest! 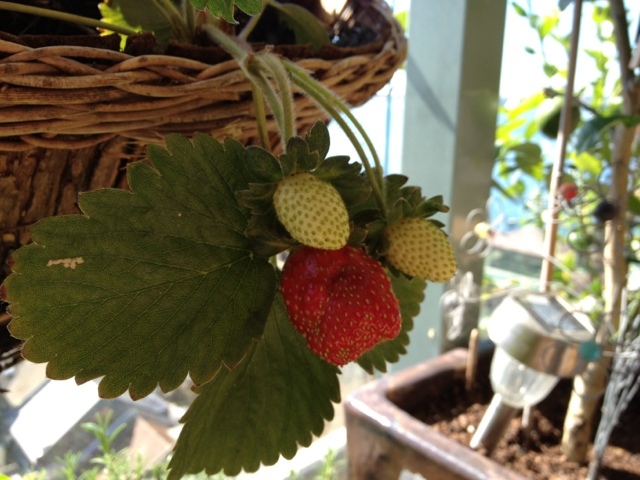 This entry was posted in Edible balcony on July 28, 2012 by dearindira2013. 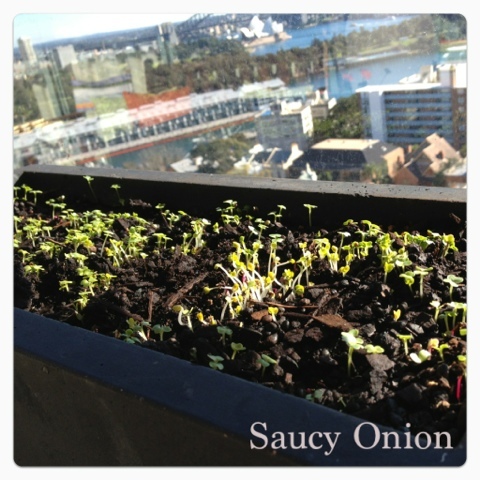 The balcony plants are lapping up this tiny burst of early Spring sun. They are twisting and turning to the warm light. 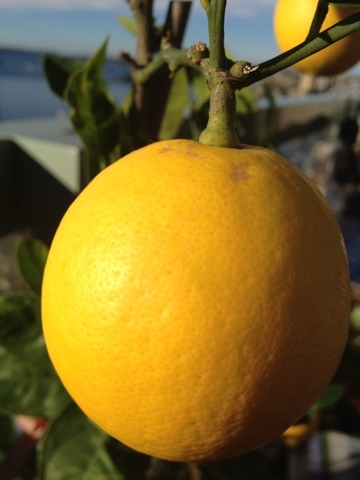 The meyer lemons are heavy with juice, another flush of strawberries are peeking through their petals and the vines of the heirloom peas are curling their way up the trellis. 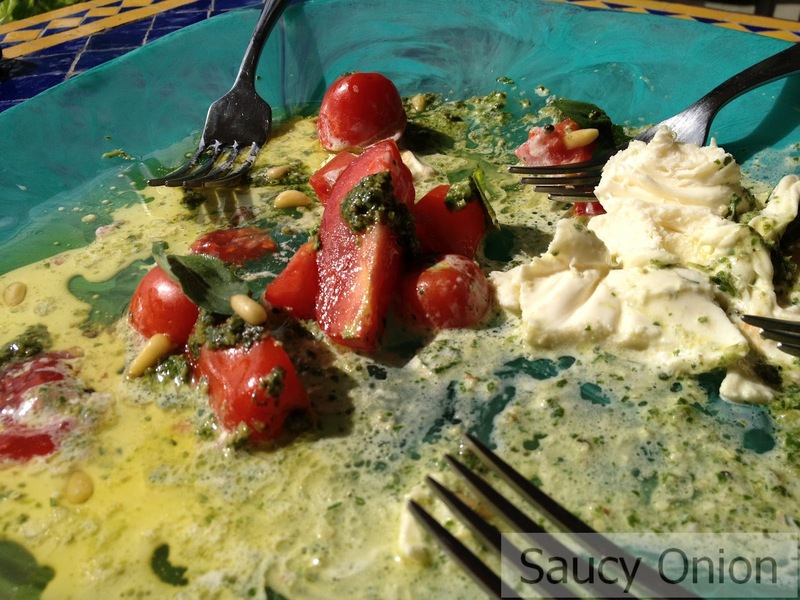 Enjoy it while you can – a cool change will soon be upon us. 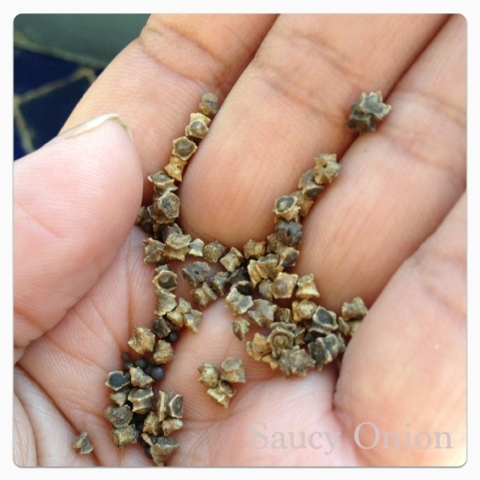 This entry was posted in Edible balcony on July 17, 2012 by dearindira2013. 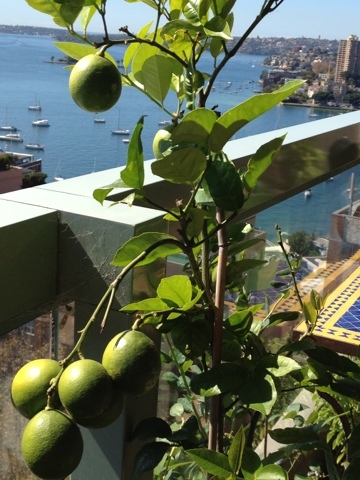 People are always surprised to discover that I’ve managed to keep a lemon tree alive on my 20 metre square balcony. 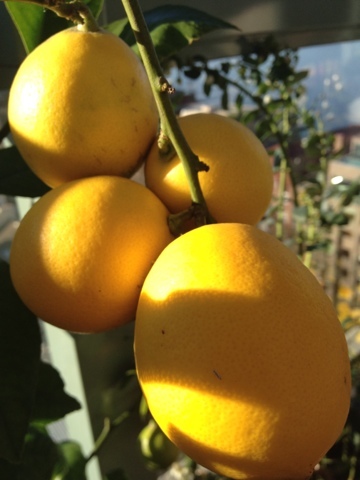 It’s a dwarf Meyer lemon variety that grows well in pots and I can recommend it for small space gardeners. 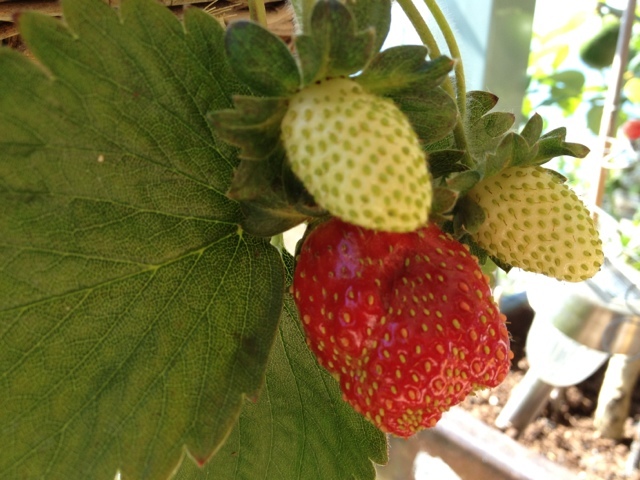 It’s three year’s old now and has been successfully fruiting for two years. 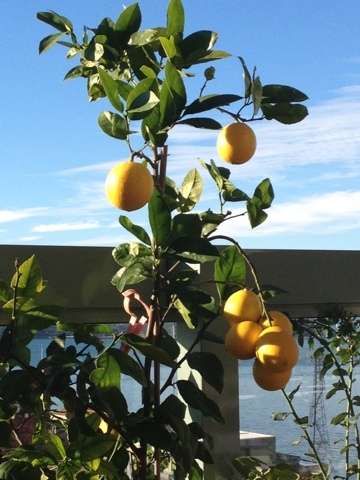 This season’s crop is the most bountiful so far 10 lemons which are now all almost ripe. 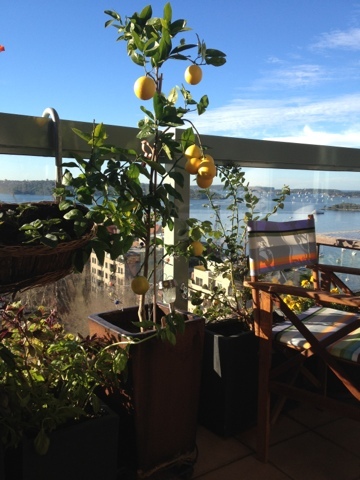 My lemon growing tips – don’t over water, fertilise in autumn with some dynamic lifter and use a slow-release fertiliser the rest of the year. 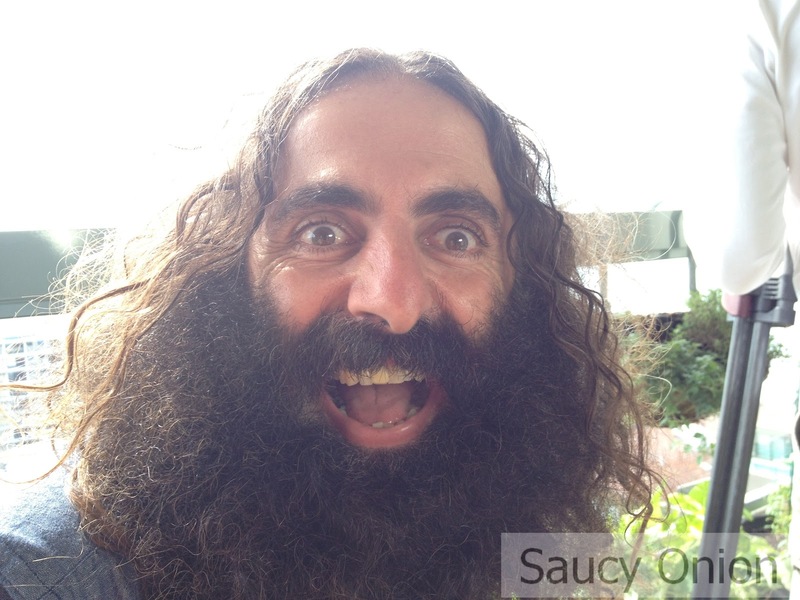 Douse with pest oil if scale, leaf miners and aphids take hold. 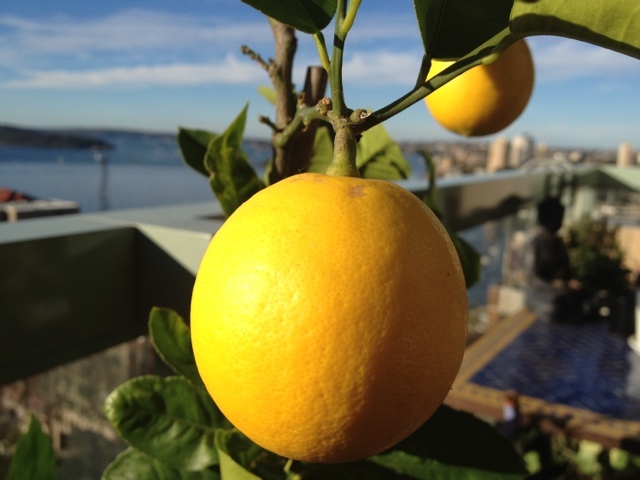 Citrus loves heat but hates wind so keep your tree in a sunny,sheltered position. And enjoy! 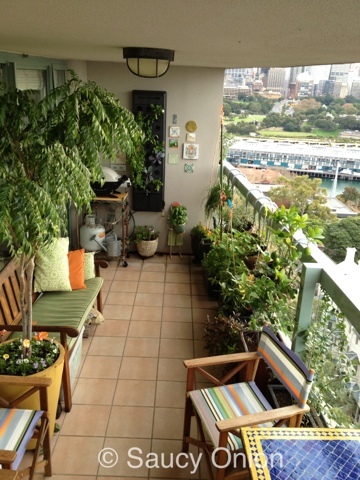 This entry was posted in Edible balcony on June 20, 2012 by dearindira2013. 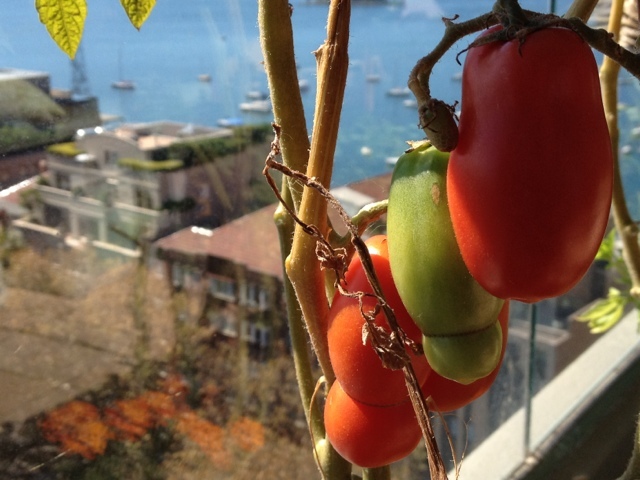 Well winter has really set in here in Sydney. 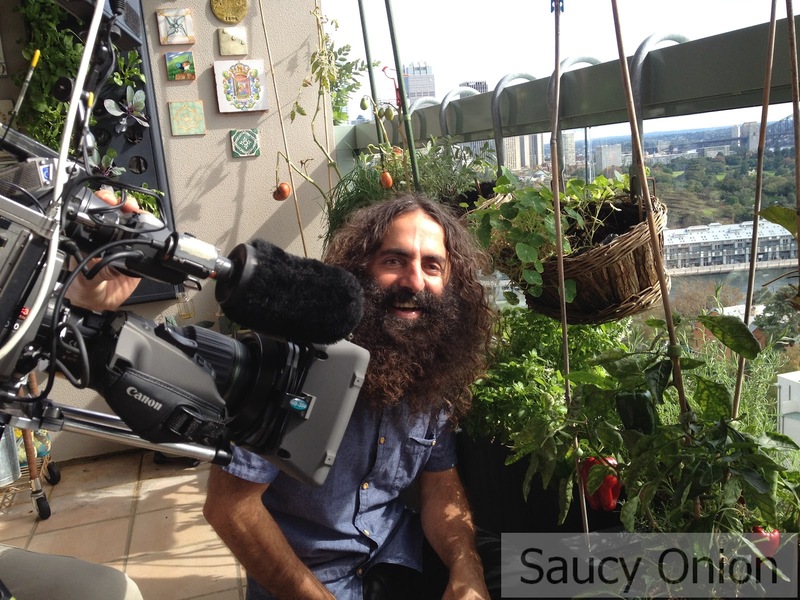 I’ve been watering the plants in the mornings wearing ugh boots, mittens and a beanie! 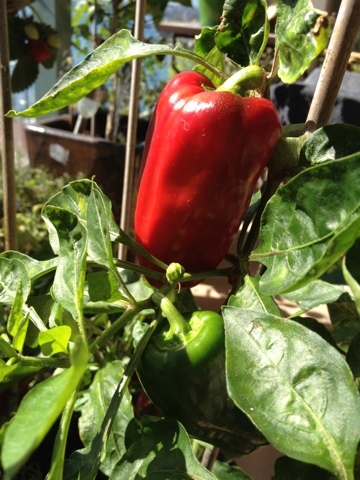 Amazingly there are still some San Marzano tomatoes on the vine, and some capsicums struggling to turn fire engine red. 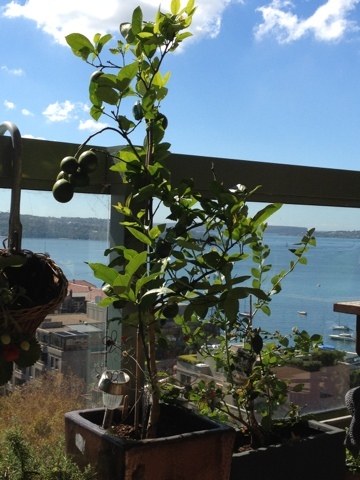 The warrigal greens on the vertical wall all soaking up the winter sun and I’m harvesting them every week. My favourite snack at the moment is mixing up some finely chopped warrigals with chickpea flour, some baking powder, Indian spices and a little water and frying them into little crunchy pakoras . So addictive. The chives in the hanging basket in the corner have erupted requiring almost a daily haircut to contain them. 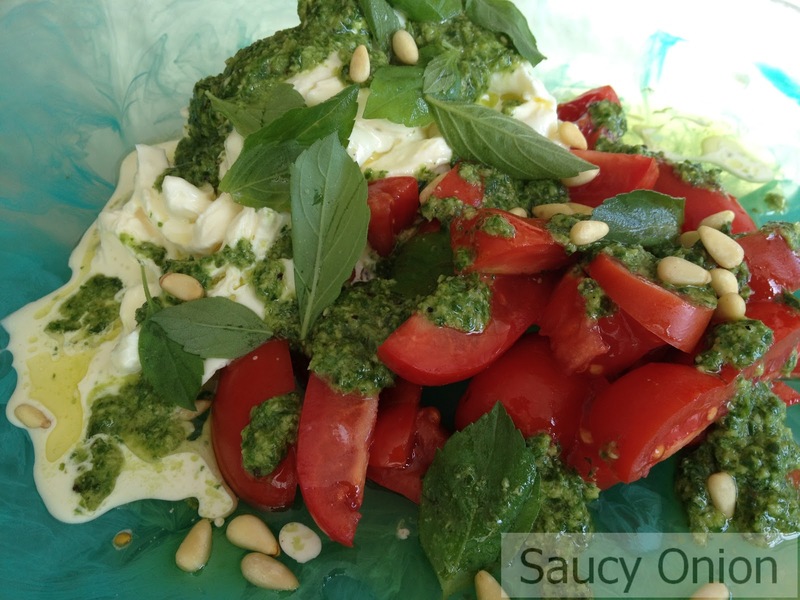 My four varieties of basil are still bushy providing me with my secret elixir – pesto! 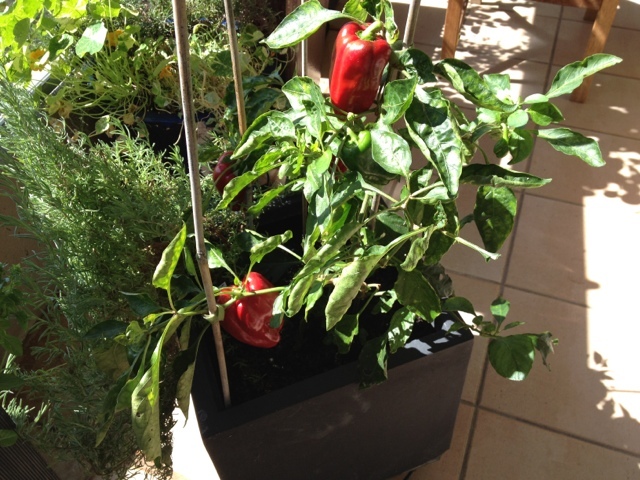 As soon as the tomatoes and capsicums are truly done I’ll clear those pots and plant some heirloom carrots, radishes and maybe some onions. Balcony life isn’t too bad. 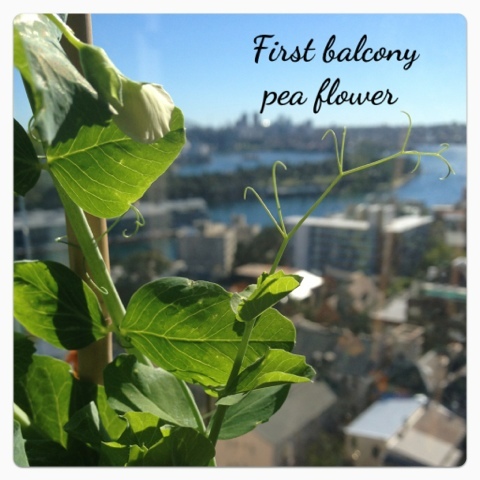 This entry was posted in Edible balcony on May 7, 2012 by dearindira2013.